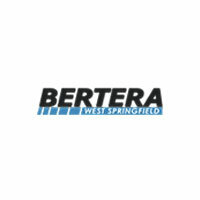 Everyone was great during my time at Betera. Carlos my salesman was the best! I never felt pressured during the experience. Carlos as well as Suzy (not sure if that's spelt right) helped me all the way, Carlos even gave me his personal cell phone number to keep in contact. Would reccomend anyone looking for a new car, truck or suv to go here, and ask for Carlos! Thanks again for my 2019 Ram! I had a great experience. Carlos Torres answered all my questions and give me very good options. He was very professional, knowledgeable, kind, and very patient with me to ensure that I was completely satisfied. I am very pleased with Carlos and with the process. Easy financing and super helpful staff! Best experience ever. Thank you, Carlos Torres!